Since the inception of the Talk Clean To Me blog, we have included a blog on back to school infection prevention. Those of us who are parents know firsthand that back to school often translates into colds, flus and other diseases such as Pink Eye, Hand Foot Mouth or Chickenpox. Unfortunately for some parents, back to school this year has lead to the introduction of Enterovirus D68 (EV-D68). Enteroviruses are a family of viruses that include 3 Polioviruses and 61 non-Polioviruses including Coxsackieviruses, Echoviruses and 4 other Enteroviruses (e.g. Rhinovirus). Next to the common cold, Enteroviruses are the second most common viral infectious agents in humans causing upwards of 10 - 15 million infections each year in the United States. EV-D68 was first identified in 1962 in California, however, for the last 40-odd years it has been very rarely reported in the United States. Due to the fact that EV-D68 is rarely identified, it has been less studied and the ways in which it spreads are not as well defined. Like other Enteroviruses, EV-D68 causes respiratory illness and can be found in respiratory secretions such as saliva, nasal mucous or sputum. It is very likely that the virus is transmitted via direct contact with respiratory sections and indirect contact with contaminated environmental surfaces and fomites. The rarity of this virus, however, changed on August 15th and August 23rd when Children's Mercy Hospital in Kansas City, Missouri and the University of Chicago Medicine Comer Children's Hospital of Illinois notified the CDC of an increase in patients examined and hospitalized with severe respiratory illness. EV-D68 was identified in 19 of 22 specimens from Kansas City and 11 of 14 specimens from Chicago. Ten (10) additional states; Alabama, Colorado, Michigan, Georgia, Ohio, Iowa, Kansas, Oklahoma, Kentucky and Utah have also reported clusters of Enterovirus illness. Of the additional 10 states, only Colorado and Iowa have confirmed EV-D68 as the causative agent. While Enterovirus infections as a whole are common, the number of critically ill children who have required intensive care has been unprecedented. Many of these children have a history of asthma or wheezing. At present there are no vaccines or antiviral medications that can be used to prevent or treat EV-D68. Infection prevention measures include hand hygiene using soap and water, paying particular attention to hand washing after changing diapers, as well as avoiding touching your eyes, nose and mouth with unwashed hands and disinfecting frequently touched surfaces such as door knobs and shared items such as toys. When choosing a disinfectant however, it is important to understand that due to the rarity of EV-D68, most commercially available disinfectants will not have specific claims against EV-D68. As such look for products that have claims against viruses within the same family such as Poliovirus, Coxsackieviruses or Rhinovirus. Here's hoping that this back to school this year does not signal the start of a busy fall outbreak season! 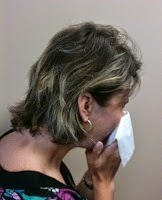 Influenza and Norovirus season are just around the corner! Home Remedies are the best treatment for any disease because they have no side effects and almost every disease has a natural cure by these natural home remedies. This website discussed about thousands of home remedies for many disease. So just click on the link and go to website.